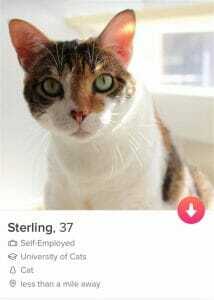 Several animal shelters are using the popular dating app Tinder to help find new homes for their pets. Miranda Morrison, who works for Animal Ark Rescue in Columbus, Georgia, has been experimenting with this adoption strategy with a dog named Henry. After living at the shelter for over three years, Morrison is confident that she will successfully find a new owner for him by matching him with people on Tinder. Over the years, she has developed a deep bond with Henry, but it excited to use the platform to help him find a new home. “He is my favorite dog at the shelter,” said Morrison. On Henry’s Tinder profile, he is described as someone who loves car rides, hikes, and anything else that involves being outdoors. In addition, the profile mentions that he is a “connoisseur of squeaky toys.” His age is listed as 23, which is close to his real age in dog years. 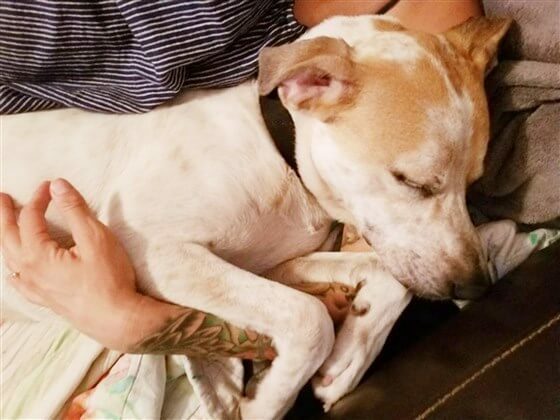 Eventually, Henry matched with a girl named Chelesa who initially started talking with ‘Henry’ on Tinder as a joke, but she eventually realized that Henry was on the app because the shelter was trying to find a new home for him. Morrison was surprised to see how many people are interested in talking to ‘Henry’ on Tinder. LifeLine Animal Project is also experimenting with putting some of their cats on the platform with the goal of finding people to adopt them. Karen Hirsch, who works for LifeLine is optimistic that putting their animals on the platform will have a positive impact. “So much interest and enthusiasm,” said Hirsch in reference to making Tinder profiles for several of the dogs and cats that she’s trying to adopt out.